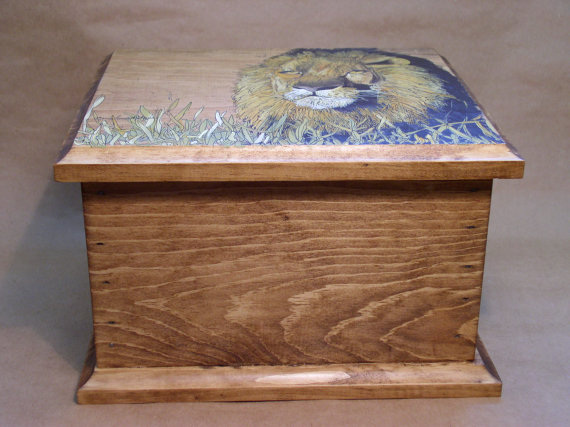 SOLD Painted Lion Nature Box Keepsake Custom Made Hinged Wood Painted Furniture. 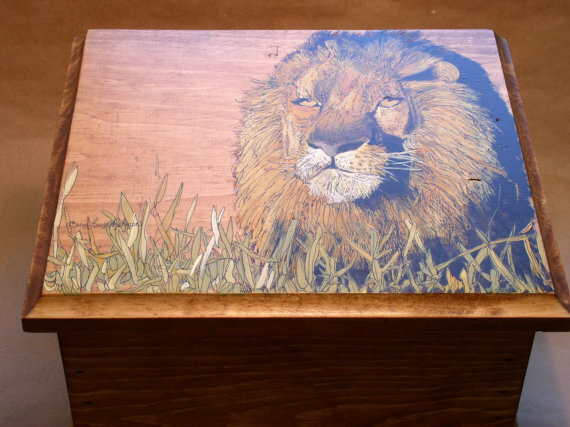 Lion nature box is custom made painted furniture. 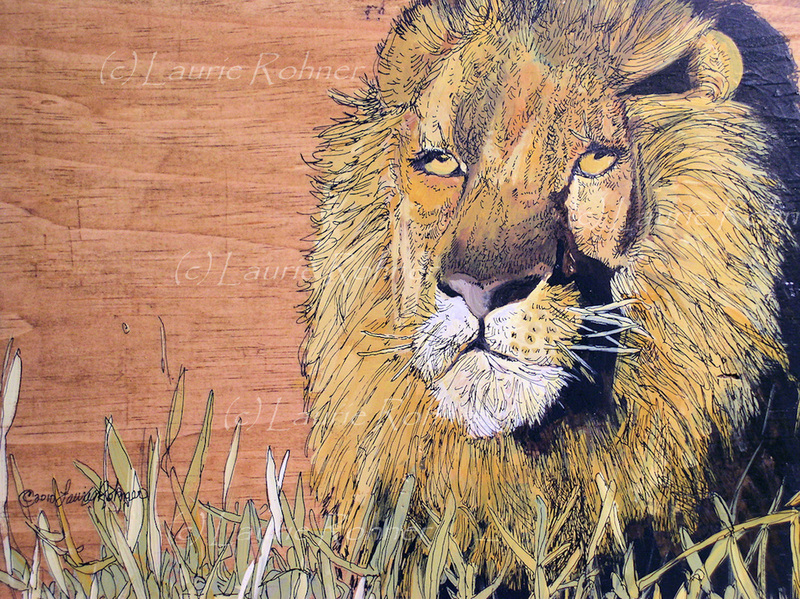 Distressed wooden decorative keepsake one of a kind is a tribute to nature and lions. The top of the lid a detailed hand painted portrait of a male lion staring over his domain with his mane framing his regal face as the sun starts to set on the Serengeti. I love the way the eyes seem to reach into your heart. 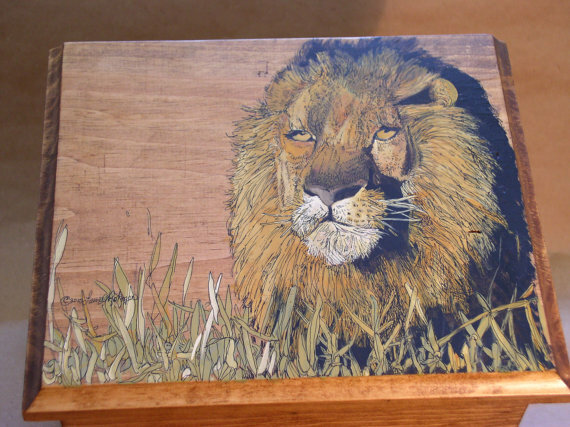 If you adore lions like I do this is a must have keepsake to own. Color Palette: honey stain, sage greens, golden brown, burnt orange, dark brown, earthy tans, white, cream. 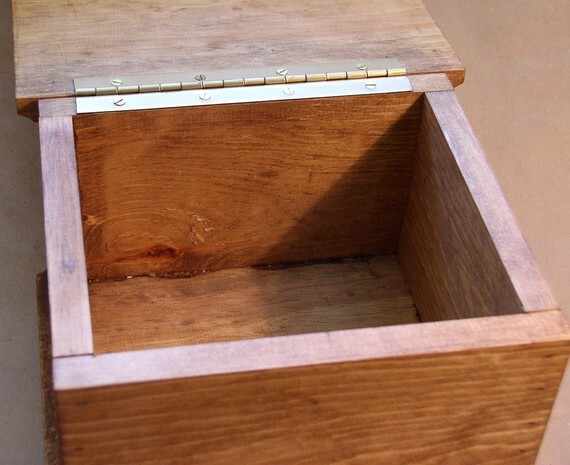 Box measures: 11" x 9.25" x 7.33" inside is 8.25"l x 7"w x 5.25h. and weighs 4.5lbs. The Keepsake Nature Boxes are painted on the top of a stained, hinged and hand crafted pine keepsake box. The finish is a satin smooth luster. He is painted first and then I add my ink line work. This gives him the added depth. 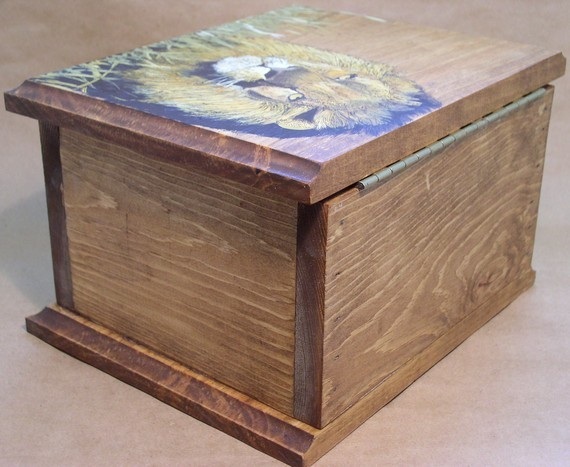 I have been drawn to lions since childhood so my lion box is a very special to me.